923|Recruitment & HR bring together a great team with skills and experience spanning many years. Our diversity is our strength! Ranked first at Sydney University 2017, in Management Consulting, Kathryn has the skills and experience to assist any client and successfully leads the 923|Recruitment & HR team. Kathryn has more than 20 years of experience in recruiting and managing staff. She is a specialist in the field of business administration, management and bookkeeping. Kathryn has an in depth knowledge of many industries and their varied recruitment needs. Kathryn is a Registered BAS agent with the Tax Practitioners Board and as such leads the recruitment team with their speciality in finance recruitment. Kathryn is an Accredited Recruitment Professional with the Recruitment Consulting Services Association, a professional member of the Australian HR Institute and is currently completing a Masters in HR Management and Industrial Relations at Sydney University. Nicole joined 923|Recruitment & HR as a recruitment consultant back in 2007 bringing with her, knowledge and expertise in the field Human Resources and management. This knowledge was gained in her previous role as NSW Administration Manager of a large National Insurance Broker. Nicole prides herself on her communication skills and her excellent client relationships. Nicole is keen to assist both clients and candidates to find a work life balance with experience and knowledge. Nicole assists all our business clients with their recruitment and staffing needs. Veronica holds a Bachelor of Arts Degree in Psychology and Economics from University of Karachi and has had a career spanning industries as diverse as Aviation to Communications. Veronica runs the 923|Recruitment & HR Accounts Department as well as assisting with the Bookkeeping Team. Veronica is a registered BAS Agent and has vast experience with all aspects of Bookkeeping and Accounts. Veronica is a registered BAS Agent and has vast experience with all aspects of Bookkeeping and Accounts and has been managing our Finance team for over 12 years. Trevor brings to 923|Recruitment & HR over 35 years of experience in media and publishing, primarily in local media. He has worked with small businesses both in his professional roles and also with Chambers of Commerce and business networking organisations. Trevor was a Board member of the Eastern Suburbs/Sydney Metro BEC for 10 years and has mentored both start-up businesses and participants in ESBEC’s Women in Business program. With qualifications in advertising, leadership and project management, Trevor provides 923|Recruitment & HR clients with problem-solving and solutions delivery expertise wrapped up in that ‘extra’ level of service. Helen joined the 923|Recruitment & HR team in February of 2016. She is currently completing her combined Bachelor of Business and Bachelor of Law degree from the University of Technology, Sydney. Helen’s role at 923|Recruitment & HR as a Junior Researcher involves assisting the HR and Recruitment teams. Norrey joined 923|Recruitment & HR as a Bookkeeper in March 2018. With previous seven years’ experience working in a recruitment environment and over 15 years’ experience in accounting, Norrey has a strong service orientation and aims to further enhance the experience of our clients and candidates in their interactions with the 923|Recruitment & HR accounts team. Norrey brings to our business, her years of experience in Accounting, her mastery of analysis and her ability to take initiative and learn new systems. Maria holds a Bachelor of Science, with a Psychology major and a Master of Applied Science (Psychology of Coaching) from the University of Sydney. 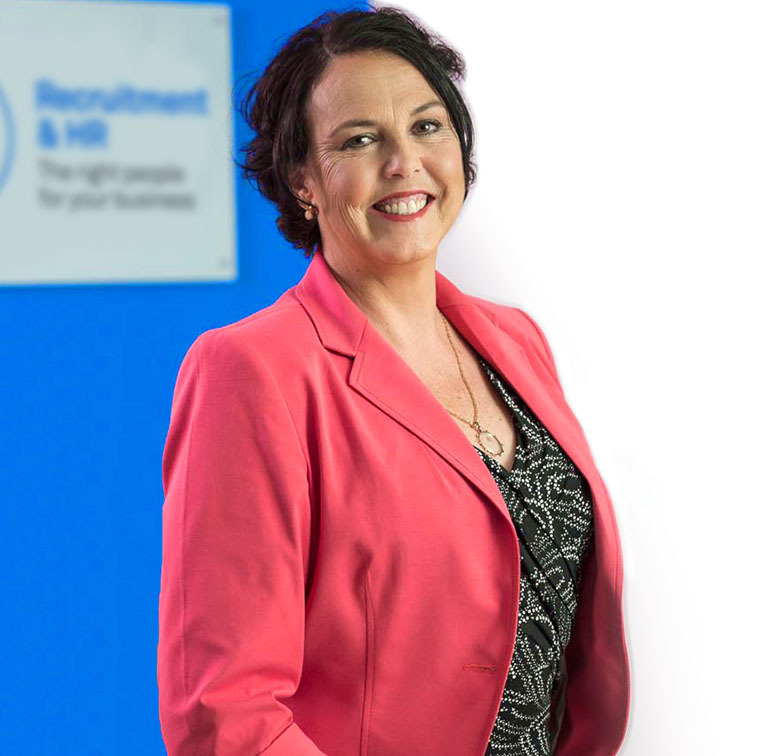 She has a background with Human Resources and Career Planning with Westpac, worked as a Training & Development Consultant with Psychological Assessments Australia and spent some years working with 923|Recruitment & HR previously. Maria has commenced in the role of Career Coach with 923|Recruitment & HR in 2018. Maria works with candidates that are looking to make a career change, require an updated Resume or need tips with their job search or interview skills. Maria also offers corporate services to our business clients in the areas of executive coaching and outplacement services. Zac joined the 923|Recruitment & HR team in January 2018. With just finishing his secondary studies at the end of 2017, Zac has aspired to place his mark in the business world. Currently he is working to gain the best hands on experience of business, with plans to study HR in 2019. Zac’s role at 923|Recruitment & HR as a Junior Researcher involves assisting the HR and Recruitment teams as well as assisting the Marketing Department. Nicole Koutsoullis recently joined the 923|Recruitment & HR team in August 2018 as one of our newest researchers. She is currently studying at the University of New South Wales, enrolled in a combined Bachelor of Commerce / Media (PR & Advertising) degree.Nicole assists both the Recruitment & HR team with a variety of research and assistant duties and we look forward to watching her growth as a new team member. Victor recently joined 923|Recruitment & HR in August 2018. He is currently studying a dual degree in Commerce/Law at the University of New South Wales to further his understanding of legal framework for business. Victor’s role as a Junior Researcher involves assisting the Recruitment & HR team at 923|Recruitment & HR with a wide variety of tasks.